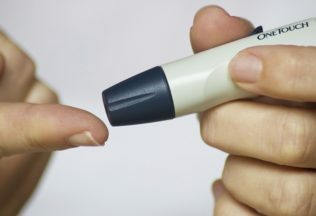 The Australian Competition and Consumer Commission (ACCC) has warned food companies to be careful about making misleading marketing claims related to health conditions after EasyMeals claimed its meals were suitable for all diabetics when they were not. The ACCC investigated EasyMeals conduct after Anglicare Northern Territory lodged a complaint on behalf of a newly arrived migrant who was told EasyMeals were suitable for diabetics during a telemarketing call. Following ACCC engagement, EasyMeals refunded the consumer; undertook an internal investigation aimed at implementing corrective measures; cooperated with the ACCC’s investigation; and agreed to rectify its practices to ensure future compliance with the Australian Consumer Law. According to the ACCC, EasyMeals, which sells pre-made, long-life meals online, informed consumers its products were safe for diabetics when in fact diabetics need to individually assess what type of food is suitable for their diet. EasyMeal made false or misleading representations that consumers could get a free meal simply by providing their contact information, when consumers could only obtain a free meal if they purchased a meal from EasyMeals first. As part of its response to the ACCC, EasyMeals also offered a court enforceable undertaking to the ACCC. The undertaking prohibits EasyMeals from engaging in similar conduct for a period of three years, and requires the company to implement and regularly review an ACL compliance program. The undertaking also requires EasyMeals to place a corrective notice on its website for a period of 60 days. Easy Meals is operated by Flavour Makers Pty Ltd and has been in operation since 2011 and says on its website that it provides thousands of everyday Australians with convenient meals in long-life packaging. Deputy Chair for the ACCC, Delia Rickard said businesses supplying food must take particular care to ensure that they do not misrepresent the suitability of their products for consumers with particular health conditions, such as diabetes or allergies. “Businesses must ensure that they have robust compliance procedures in place to prevent breaches of the ACL, such as false or misleading representations regarding their products or failing to comply with the unsolicited consumer agreement provisions,” Rickard said. “Consumer protection issues effecting on vulnerable and disadvantaged consumers, with a particular focus on consumers who are newly arrived in Australia, is a current enforcement and compliance priority for the ACCC,” she said. Australian Food News tried to contact EasyMeals for comment but did not receive a response prior to the publication of this article.